PLUS free gifts including a Faithful Girl sampler pack of planner inserts* valued at $20 from The Reset Girl Shop! Are you ready to take a walk deeper in your Christian faith? Take this faith-building workshop and learn to set up a beautiful custom planner for your personal time with God. 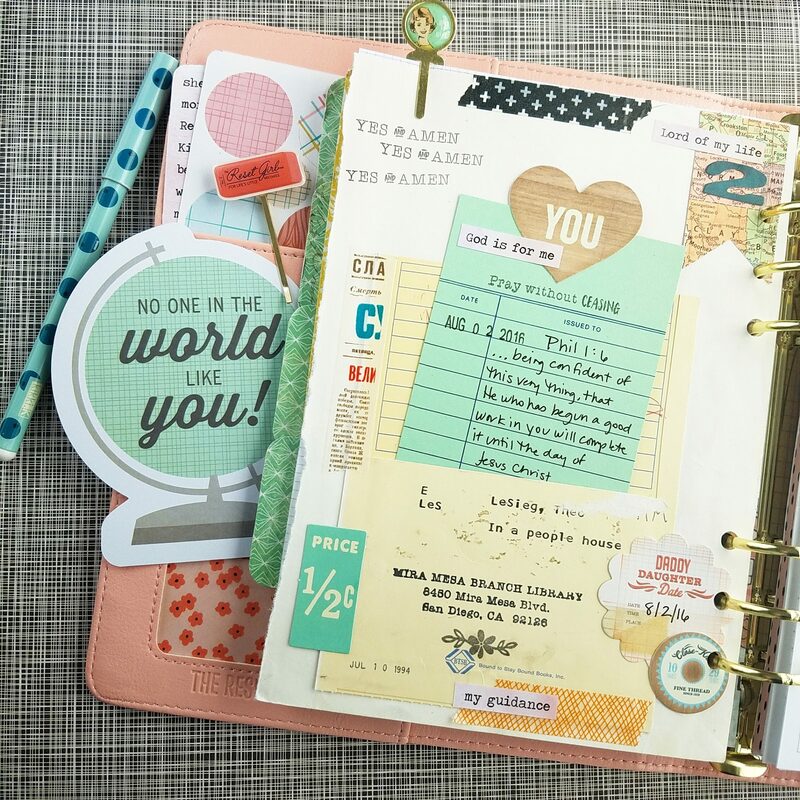 Learn to create custom dividers and planner tabs, then decorate each divider in a fun and creative way. 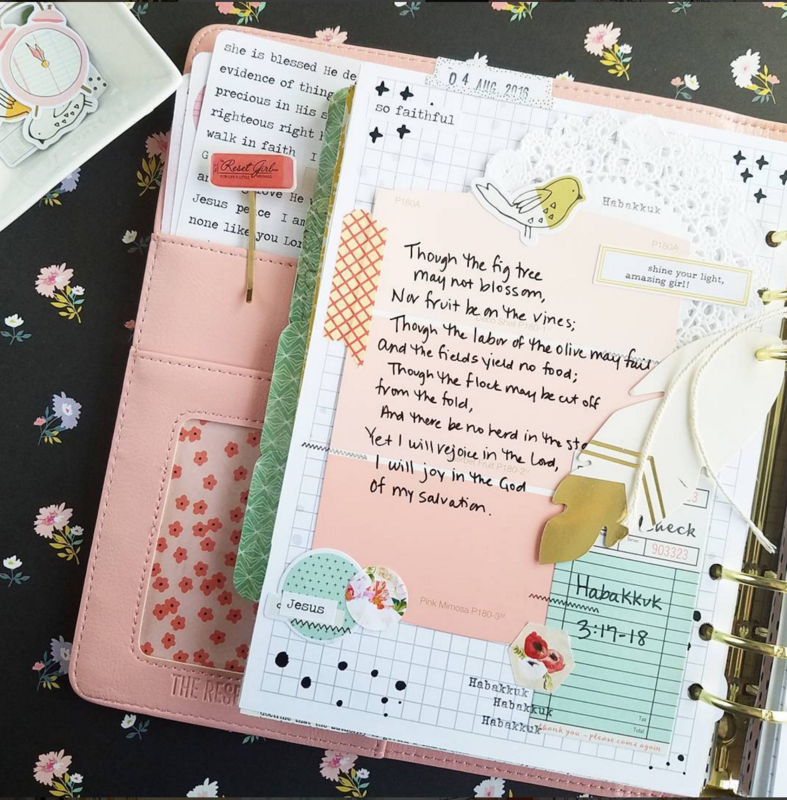 The planner inserts you are gifted will allow you to set up and organize a beautiful tool that will help encourage and inspire you to create the habit of making time for God each day. As you turn the pages in your planner, you will have a whole new appreciation for how robust your faith life can be! 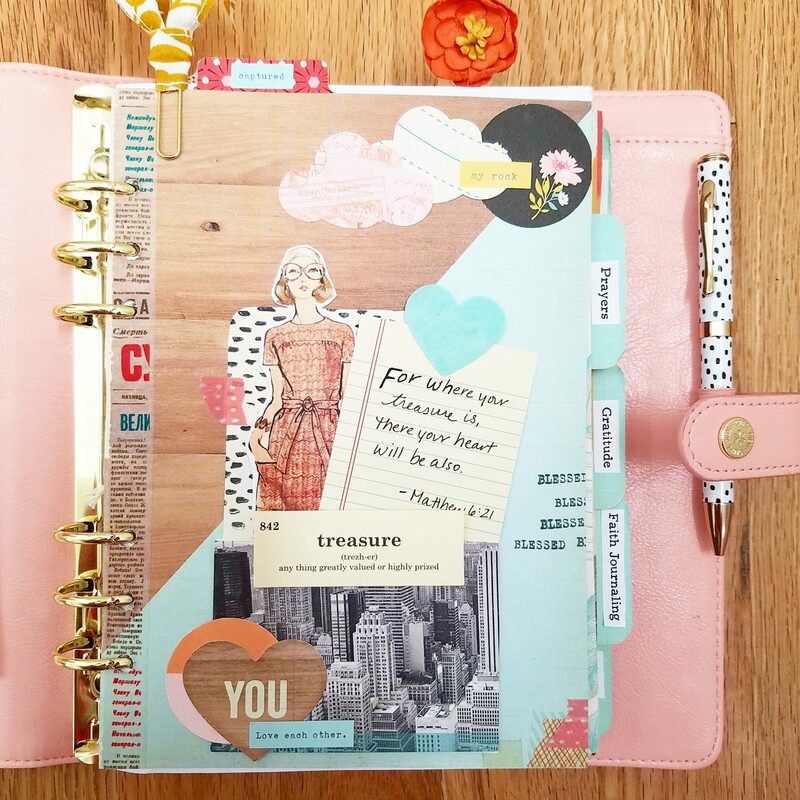 In addition, Cori will share examples of how you can bible journal in your planner, create fun vision boards you can pray over and how to add personal elements to customize your planner. Be encouraged to journal, create, and be all you can be, while listening to worship music, enjoying refreshments, and being uplifted. Cori will share some of her testimony of her own walk along with some of the ways in which God has creatively communicated with her. Leave this class with a deeper understanding and inspiration for your own personal faith journey as well as a creative way to document your individual faith. Our crafting kit includes lots of lovelies to embellish your planner including: EXCLUSIVE TRG brand everything including cardstock stickers, planner tabs, washi, a stamp set and so much more! *A sample pack of our exclusive Reset Girl designed planner inserts are your gift for attending and include pages for recording your prayers, tracking bible studies, journaling, faith & vision building, creating affirmations, or note taking during Sunday sermon. Also included are fun inserts to create your own resource library of faith builders including wish lists, favorite books, websites and songs! Cori will inspire you with ideas for building your planner and developing a vision for your spiritual walk. The Reset Girl Says: This is my FAVORITE class to teach! I want to help you create this special tool that will give you a place to grow in your faith and express yourself creatively. I hope you join me! Are you attending this workshop? I’m super excited to meet you! Prepare to be hugged and receive presents! You are going to make an amazing faith planner to use for your time with God, to bible journal in, to record prayers and more. I will be sharing lots of resources and ideas how to make your faith planner a place for creativity, a war binder and a tool you will reach for daily. This is my very favorite class to teach and I can’t wait to share my heart with you! Do you want your local scrapbook store to host this workshop? Print out this handout and take to the shop owner or manager so they can get in touch with me. Want to host this workshop at your event or store? Contact TheResetGirl Team and be sure to put ‘Workshop Request’ in the subject line of your email. Let us know your location, timeframe and guesstimate on attendees. We will get back to you asap. Once we book your event, we will give you marketing materials to market the event and will add it to our Event Calendar here on our website. No matching events listed under Faithful Girl Planner Workshop. Please try viewing the full calendar for a complete list of events. Check our calendar here for all TRG events.